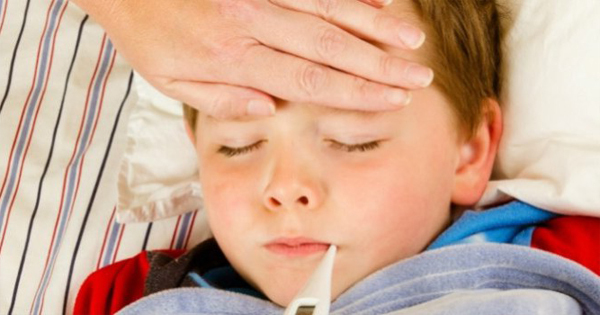 Fever in children is quite common and it creates more troubles for kid’s parents than kids. As per the repot “Fever and Antipyretic Use in Children” given by AAP (American Academy of Pediatrics), fever is the primary reason for visiting pediatricians. It even stressed the need to educate parents about the common problems faced by children to reduce “fever phobia” in parents. According to doctors, fever sometimes help in combating the infections in children. Though usage of antipyretics is recommended by doctors also; they must be given under the direction of the medical experts. The main aim of the parent should be making kid comfortable rather than getting the temperature to normal levels. As per the report given by AAP, children are getting exposed to UV Radiation frequently and this is increasing the risk of several skin related diseases in children. It is not recommended to expose kids to sun directly until they reach six months of age. The official publication released by APP revealed that teenagers and young adults are getting exposed to harmful UVR of sun and this is leading to enormous increase in skin cancers including melanoma. AAP even recommends proper clothing, hats, sunglasses etc. to protect oneself from harmful radiations. AAP is also playing a key role in increasing awareness on UVR and its adverse effects. In one of its press releases, AAP expressed its strong support on banning the salon tanning by minors. Along with AAP, WHO, AAD (American Academy of Dermatology) and some other medical groups expressed their happiness on this ban. This ban is not confined to saloon tanning alone as the minors are not allowed to use any artificial tanning devices. This will surely discourage the teenagers in accessing tanning beds. In the scientific researches, it is revealed that the intensity of radiation in case of tanning bed is ten to fifteen times more than normal mid-day sun radiation. AAP even stressed the need of parents monitoring on their children activities. The lucrative ads given by the saloons are attracting teenagers and it is the responsibility of the parents to educate their children about the ill-effects of tanning beds. Along with immediate side effects like fever, skin soreness etc., several types of skin infections and cancers can also be caused by tanning beds. Teenagers are primarily opting for saloon tanning to get rid of acne. Though this is somewhat helpful in the initial stages, tanning won’t prevent acne from reoccurring. In the opinion of medical experts, there is no need to opt for artificial tanning for medical benefits. One can get all those advertised benefits even without going there also. However, artificial tanning is medically recommended for patients suffering from Psoriasis, keratosis etc. This is a part of light therapy and specially designed tanning beds were recommended for these patients. It is compulsory to consult your doctor before going for tanning bed session. Doctors usually recommend applying topical creams like “Psoralen” before entering into tanning bed and this helps in curing some infections.